The president of the Libyan Olympic Committee has been freed, a week after he was kidnapped by gunmen in Tripoli. Ahmed Nabil al-Taher al-Alam was in a car with a colleague last Sunday when two vehicles carrying men in uniform blocked the road and took him away. He returned home unharmed early on Sunday morning, his brother said. Mr Alam took charge of the Olympic committee after its president, Mohammed Gaddafi, a son of the late Libyan leader, fled to Algeria last year. The two men are reported to have been friends before the uprising. Mr Alam's brother, Salah, said it was not yet clear who the gunmen were, why they abducted his brother, and why they released him. A spokesman for the Olympic committee initially told Libyan television that the kidnappers had informed Mr Alam that they were from the army, although he later said they were not soldiers. Mr Alam's deputy, Nour al-Din al-Krekshi, said he was now resting and would travel to London for the Olympic Games in two or three days. "The Olympic staff have worked hard for his release," he added. Libya's interim government has struggled to bring under control the militias who helped overthrow Muammar Gaddafi. Some former rebel fighters have refused to lay down their arms and often take the law into their own hands, detaining people without government consent. 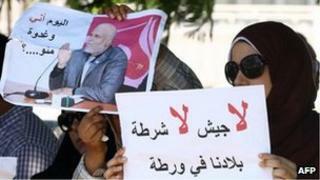 Earlier this month, two Libyan journalists were kidnapped near the former Gaddafi stronghold of Bani Walid. And a militia in Zintan is still holding Saif al-Islam Gaddafi, who is wanted by the International Criminal Court.